into the gravel road, and then right at the second farm entrance. 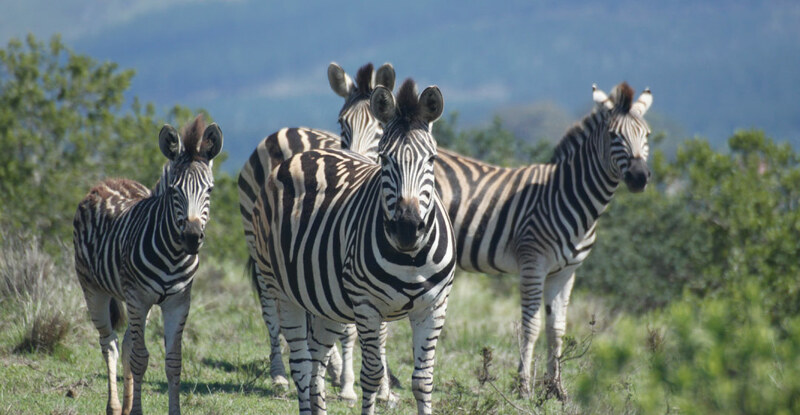 Hakuna Matata Game Farm is situated 11 km from Great Brak River on the Fragrance Route. 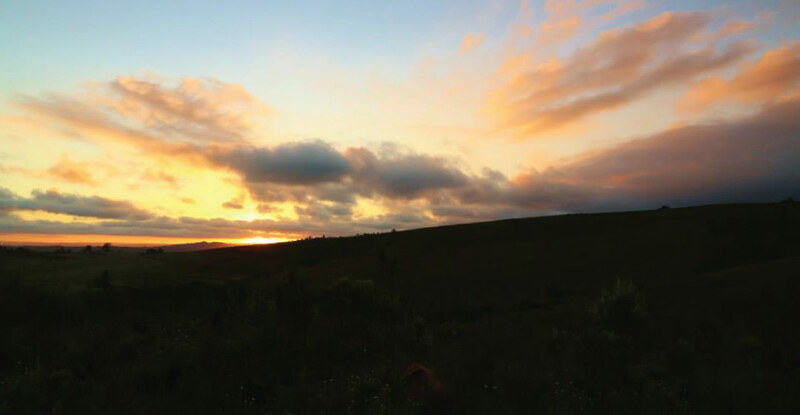 Three self-catering chalets provide the ideal base between George and Mossel Bay to explore the greater Garden Route. 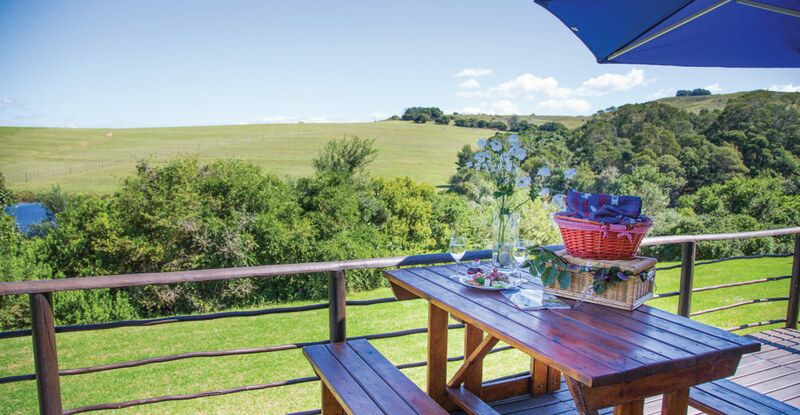 We provide guests with a relaxed, authentic living experience, surrounded by the beauty of nature. The units have beautiful views, overlooking a dam – ideal for bird lovers as several water birds can be spotted. We offer game drives and walks to our lions on request. Cyclists are welcome to stay and explore the several routes surrounding the farm and town. Hakuna Matata offers affordable, clean and comfortable accommodation for both local and foreign visitors. The chalets are situated in a fenced area, away from the reception and homestead. The three units are available separately, but are also ideal for group bookings. Units are within a short walk from each other – still allowing enough privacy. Secure shaded parking is provided and access to the chalets are for guests only. 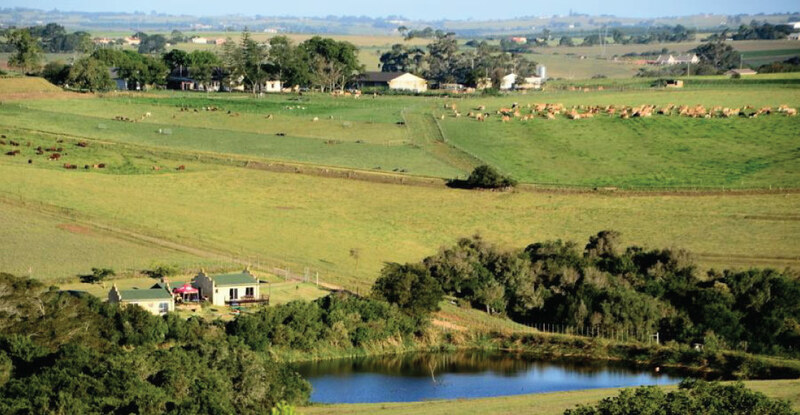 The accommodation is on a working farm with cattle, sheep, buffalo, various antelope species and our three special lions. We strive to be environmentally friendly by making our own compost and motivate guests to follow our recycling system and to save water. Additional attractions: Our annual “Hap & Stap” hosted as part of the Fragrance Fest during the last weekend of February is a growing event. We also participate in the annual Hi-Tech Garden Route Walking Fest over Easter. Our newly established macadamia field with more than 2 000 trees will become a future attraction with products and activities for our guests. Unit 1: For 4 people (R350 pp out of season/ R1 000 per unit in season). One bedroom with double bed and sleeper couch in lounge. En-suite bathroom with shower only. 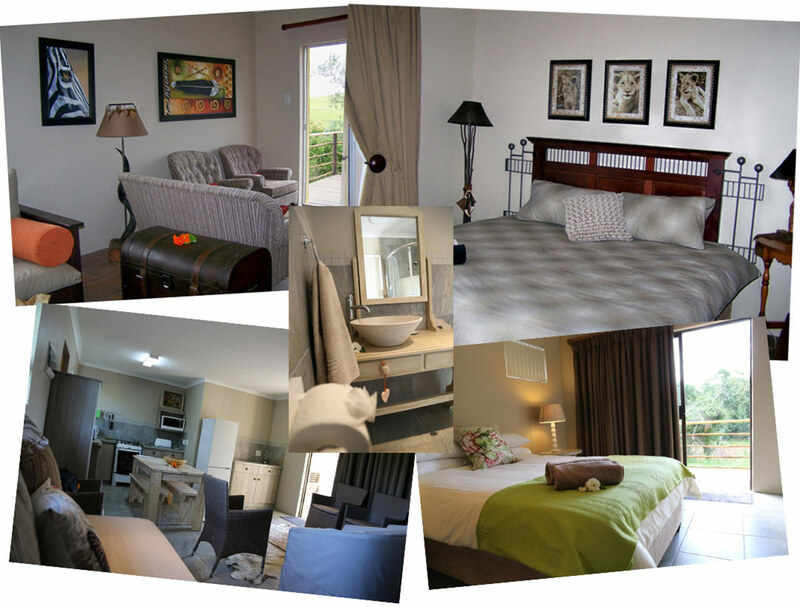 Unit 2: For 4 people (R350 pp out of season/R1 000 per unit in season). Two bedrooms with queen bed and 2 single beds. En-suite bathroom with shower only. Unit 3: For 6 people ( R350 pp out of season / R1 500 per unit in season). Two bedrooms with double bed, 3 single beds and 1 single bed in lounge. Two bathrooms with showers only.